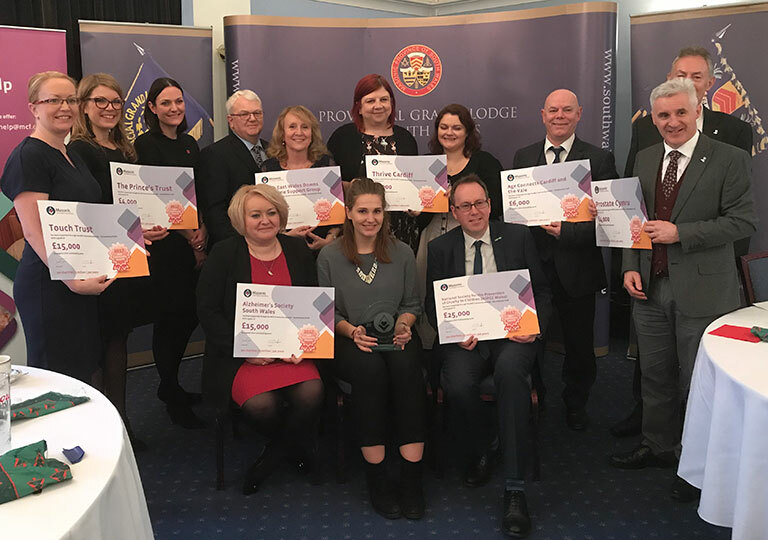 Eight local charities have benefited from a series of special Community Awards from South Wales Freemasons following an unprecedented public vote of 178,801 votes across England and Wales. The Community Awards are a major part of Freemasonry’s 300th anniversary celebrations. The Masonic Charitable Foundation is distributing three million pounds to 300 charities across the country, with the public vote deciding on the range of Awards from £4,000 to £25,000. Congratulations to the National Society for the Prevention of Cruelty to Children Wales who received the most votes in South Wales and have secured a grant of £25,000! The charities were presented with their Awards at a special ceremony at Cardiff Masonic Hall by the Provincial Grand Master Gareth Jones OBE from South Wales Freemasons on Tuesday 19th December 2017. The three million pound fund is being administered by the Masonic Charitable Foundation, which obtains all of its funding from Freemasons, their families and friends. It is estimated that half of Freemasonry’s total charitable expenditure of over £33m goes to charities that help people in communities across the country.